This morning I felt sad because my parents were leaving after visiting me for several weeks. I haven’t seen them for almost two years and now having them closeby, laughing with them, getting their comments was so familiar and comforting, that I didn’t want them to leave. At work even after consuming a lot of coffee I didn’t feel super productive, something was off. During lunch though things changed. I looked at the glass roof in the atrium of our building and it was sunny, really sunny: sunlight penetrated everything around me and made all bright. During meeting I was asked to write executive summary for two pieces of the project, and I was intrigued and challenged by the task… and kind of inspired to turn my brain up to its full volume and start creating good stuff. By 5 PM I finished the slides and was pleasantly satisfied with their quality. When I left the building the outside world enveloped me with its deep warmth, I felt like in oasis, even though I was in a trolley full of people. I thought everyone was smiling and enjoying this weather too. I headed to the technology workshop on Lean Start-up Cycle. By the time I got there, the presentation part was over, but the reception part was on going: interesting people discussing their ideas either in mind baking or in making. I spoke to several entrepreneurs and told them about my idea of creating formula for happiness. They responded with a lot of questions and positive feedback. 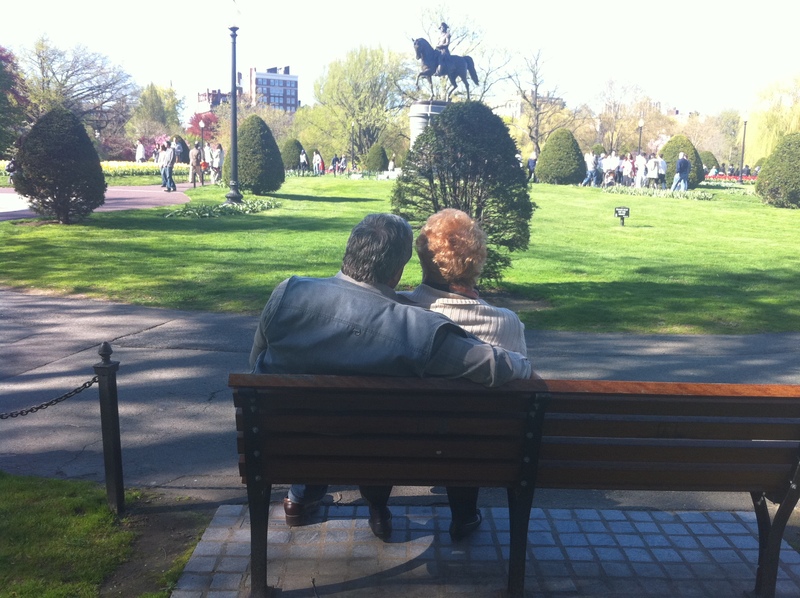 As I was walking from Central to Harvard Square, I thought about my parents. We took the same route with them on Saturday, the day when some predicted the Judgement Day. My parents and I were joking that no matter what happens, at least we will be together and support each other. When I create my personal formula of happiness my parents will be counted for in it, because they do make me happy.